Law has an important role to play in the transformation of our society. Lawyers and the judiciary are often at the forefront of leading change. It is important that the legal profession is diverse and inclusive - not only to enable a diverse population access their rights, but also for having varied on-ground perspectives for judicial pronouncements. The Bar Council of India (BCI) is tasked with the oversight of this important profession. Recently, through a letter dated 28 January 2017, the BCI increased the enrollment fees for new lawyers by INR 2,500. All state bar councils have been asked to charge INR 2,500 in addition to the already existing enrollment fees for the purpose of verifying the education certificates of the applicants. The BCI has stated that the purpose of fee hike for verification of certificates is to prevent the high number of fraudulent enrollments. According to its estimates 60% of practicing lawyers have fake documents. 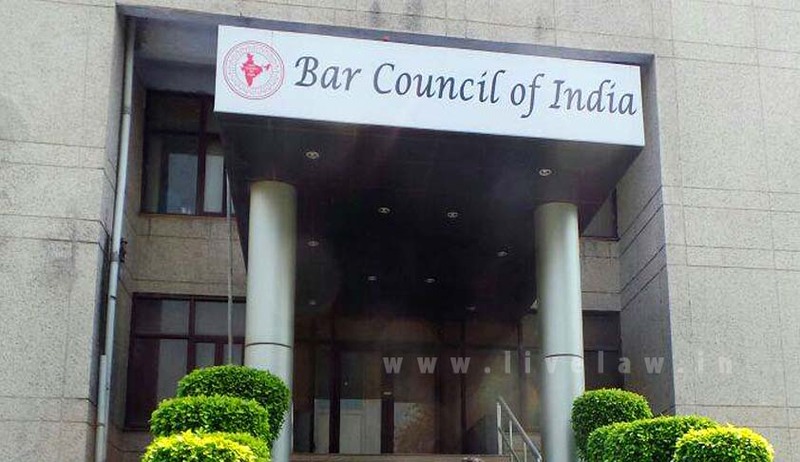 This news has come right after BCI’s very clandestine move to increase the All India Bar Exam fees to INR 3,500 from INR 2,650 (read more here). These costs add to the already high costs of enrollment. The overall cost of enrollment at various state bar councils now stands at more than INR 10,000, with new lawyers in Delhi and Mumbai looking at costs of about INR 15,000! Various other procedural rules for enrollment also act as barrier for many to access legal profession. Some bar councils required police verification, while others need a declaration from 2 advocates enrolled for more than 10 years. For those without the privilege of financial safety net or connections within the legal profession, enrolment is a daunting task. The ostensible purpose for the hike in fees is weeding out fake lawyers through seeking verification of the education certificates from the universities. However, it would also result in making litigation even less palatable to young law students. With starting salaries in litigation not even covering the cost of enrollment, this move is a serious blow to inclusion in the legal profession. For young law students without the privilege of an economically strong background, and/or connections in the legal field, litigation offers a rather difficult option. The low fees, uncertainty of success, the antics of litigating and several such hurdles are the reason why many young students choose alternate career paths. I have been working for one and a half years with IDIA Charitable Trust,that selects and trains meritorious students from marginalised backgrounds for law entrance examination. From high fees for CLAT to high enrollment fees, the journey of IDIA Scholars is constantly halted by various pitfalls. For our scholars, all from non-privileged backgrounds, the high enrollment fees and other exclusionary steps for enrollment are a huge detriment. The BCI needs to come up with innovative policies to ensure that the legal profession does not become more elitist. Some such policies could be charging higher fees for members who have been practicing for a longer time for covering the costs of AIBE examination and checking the certificates. Fees could be waived on need basis. The state bar councils should be given guidelines to ensure that they do not adopt exclusionary nepotistic policies. We, as members of the legal profession, should also take steps to ensure a more diverse profession such as factoring in diversity during recruitment, fixing need-based stipends for juniors, or encouraging reforms in our respective bar councils. We cannot, on one hand, patronize law students for choosing well-paid jobs over litigation, and on the other hand, keep making it more and more difficult for them to enroll to the bar. It is not about getting good ole’ days back, but about creating a new future with an accessible, desirable, diverse legal profession. Swati Agrawal is an Associate Director in IDIA Charitable Trust.